​Former Manchester United defender Rio Ferdinand has been criticised by Newcastle United supporters for saying that they should thank controversial owner Mike Ashley for what he has done at the club. The 40-year-old, who now works as a television pundit, made his comments before the Magpies' 2-1 defeat away to Chelsea at Stamford Bridge, a result that saw the club drop to 18th in the Premier League table. Speaking to ​BT Sport before the game, Ferdinand was questioned about his impartiality on the subject of ownership at Newcastle by host Jake Humphrey after he signed a deal to promote his clothing brand with Sports Direct - the sports store run by Ashley. Firmly denying the accusation of bias, the ex-England international revealed: "I don't even know him (Ashley) really well, I will get to know him but my issue is it's got nothing to do with business and the dealings I've got with his company. "I just think that when they went down he spent £50m to get them back up of his own money. "Thank you that should be." "If you look down the road at Sunderland, last season they had £1.2m to spend to get out of the Championship and so he's done that to get them (Newcastle) back up and by the way, please say thank you for getting Rafa Benitez in because really by rights, they are lucky to have him." Most ​Newcastle fans will in turn argue that the spending of £50m in 2016 was facilitated by the sales of Georginio Wijnaldum (£25m) to Liverpool, Moussa Sissoko (£31m) to Tottenham Hotspur and Andros Townsend (£14m) to Crystal Palace rather than fees paid directly by their owner. Since their promotion to the Premier League two years ago, the Magpies have a net spend of £6m, which is considerably less than Brighton and ​Huddersfield who came up from the Championship alongside the north-east based club. In response to Humphrey highlighting this lack of investment, Ferdinand justified Ashley's stance by stating: "Newcastle are a yo-yo club, they have been for years and he doesn't want to invest anymore, he's been there, he's done that, he wants to move on. "What's the problem? He wants to sell the club so why should he want to go and spend millions and millions of pounds? "If he spends £30m on a striker and £30m on a midfielder and they both get injured it's £60m down the drain." A proposed bid to buy Newcastle by a consortium led by Amanda Staveley broke down last season whilst former Chelsea chief executive Peter Kenyon has yet to meet Ashley's valuation for the club which is believed to be in the region of £300m. Supporters of the club reacted with furore at Ferdinand's statements before Saturday's game on social media, citing both his lack of research into the dealings at St James' Park and also questioning his ability to offer an 'unbiased' opinion. It is fact that @rioferdy5 is in business with Mike Ashley. 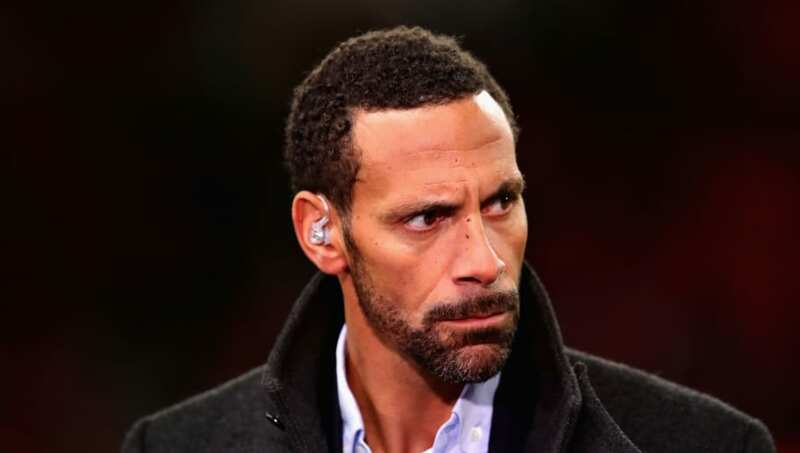 Rather than backing down from his comments on Saturday, Ferdinand took to ​Twitter to further enrage Newcastle supporters by arguing: "Your clubs turning a profit, no debt, oh and playing in the Premier League! Terrible!" When the Magpies last released their financial records in 2017, it revealed that Ashley had removed £10m from the club as he looks to recuperate some of the £144m that he has loaned the club to counter-act previous debts. By continuously seeking to reclaim money from Newcastle, the Sports Direct owner has been unwilling to give manager Benitez necessary funds to spend in the Premier League, leaving the Spaniard with limited options with his squad. If the club do suffer yet another relegation to the Championship this season, it would be their third in 12 years under the ownership of Ashley.